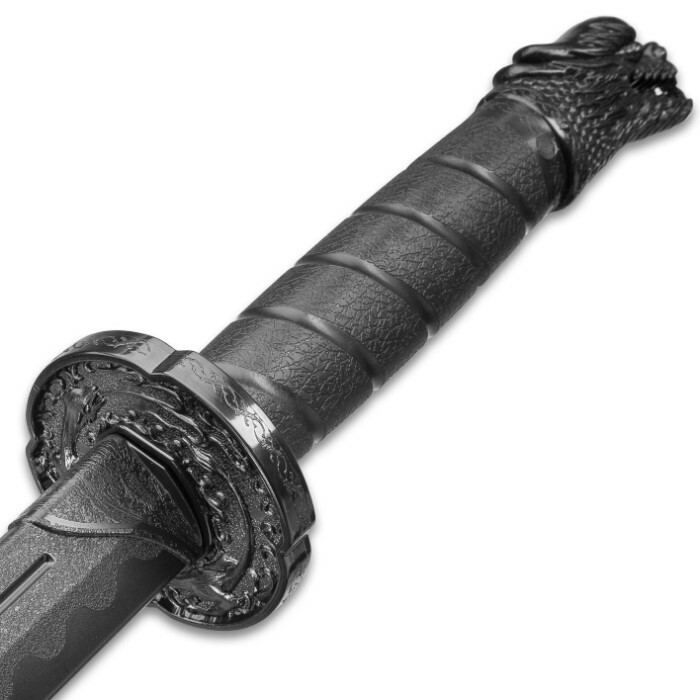 Master Martial Arts Training Sword - Polypropylene Construction, Quality Training Gear, Perfectly Weighted And Balanced - Length 40” | BUDK.com - Knives & Swords At The Lowest Prices! The Master Martial Arts Training Sword is the only way to master sword fighting without the risk of injury. It is constructed of high-impact resistant polypropylene that will withstand years of brutal combat training. 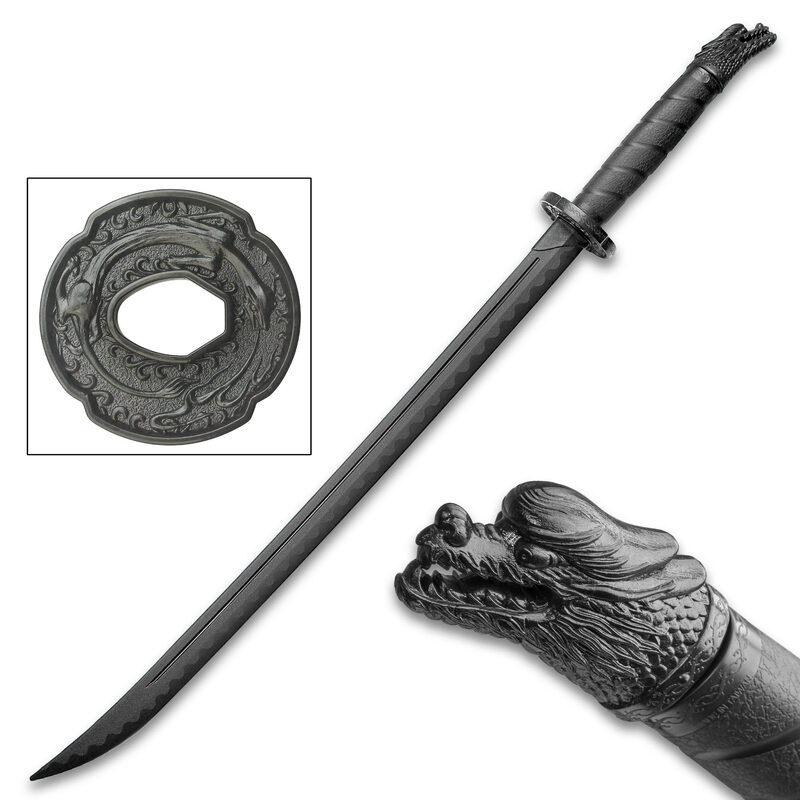 The trainer has a 30” blade with a blood groove and a faux hamon line and a 10” handle with a decorative dragon head pommel. 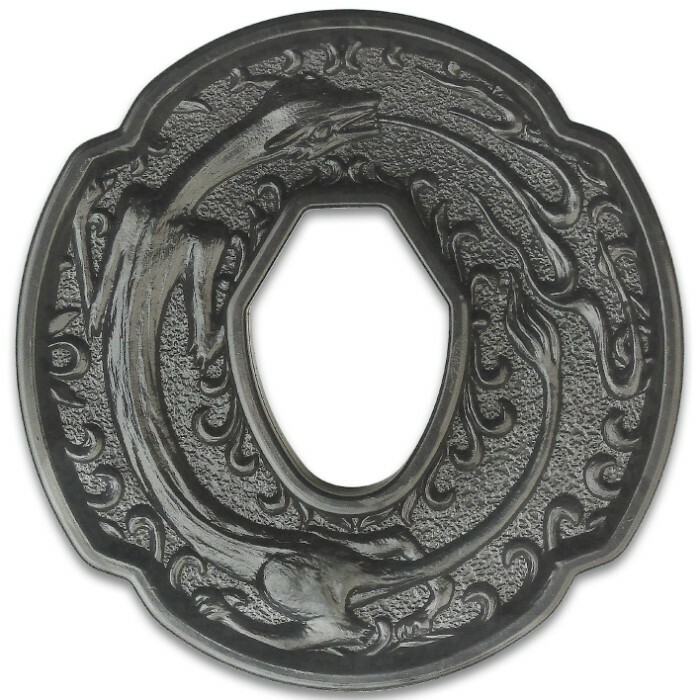 Correct in every detail, it also has a decoratively embossed tsuba. The training sword looks and feels just like a real sword, as it’s perfectly balanced and weighted. 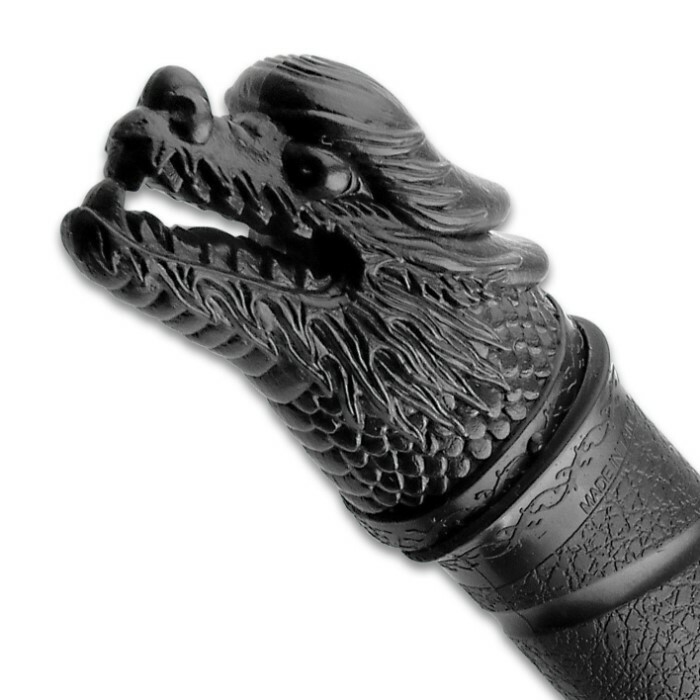 If you’re training in the art of the sword, this is a must-have for your martial arts equipment.